Water Works Warehouse has grown to become the largest and most comprehensive trade and retailer of swimming pool, pond, and Jacuzzi supplies in Phuket. Our mission is to further expand our franchise of outlets across Thailand, in addition to offering the availability of commercial sales, mail order, and Internet shopping to our valued customer. Water Works Warehouse offers a comprehensive product line including chemicals, cleaning devices, equipment, parts, recreational and safety products, as well as many unique items for decking and patio. 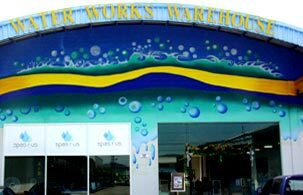 Water Works Warehouse is the first place to shop for everything you need to meet your pool, spa, and Jacuzzi needs. With the largest range of swimming pool, pond, and Jacuzzi supplies in Phuket, we can offer you the latest pool and spa products at the lowest prices - guaranteed!